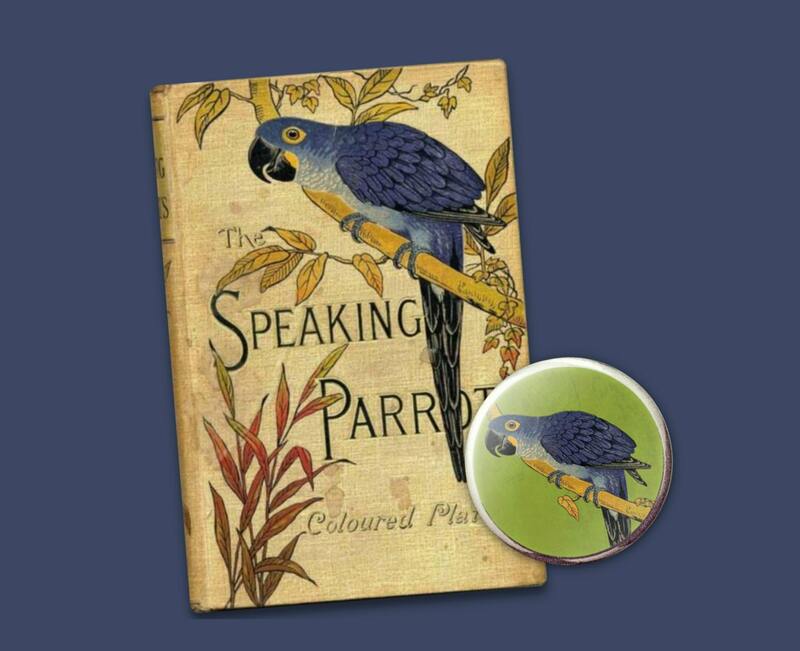 Parrot button. Pop Jewelry. Vintage image redone to look like it's set in green stone in a silver bezel. 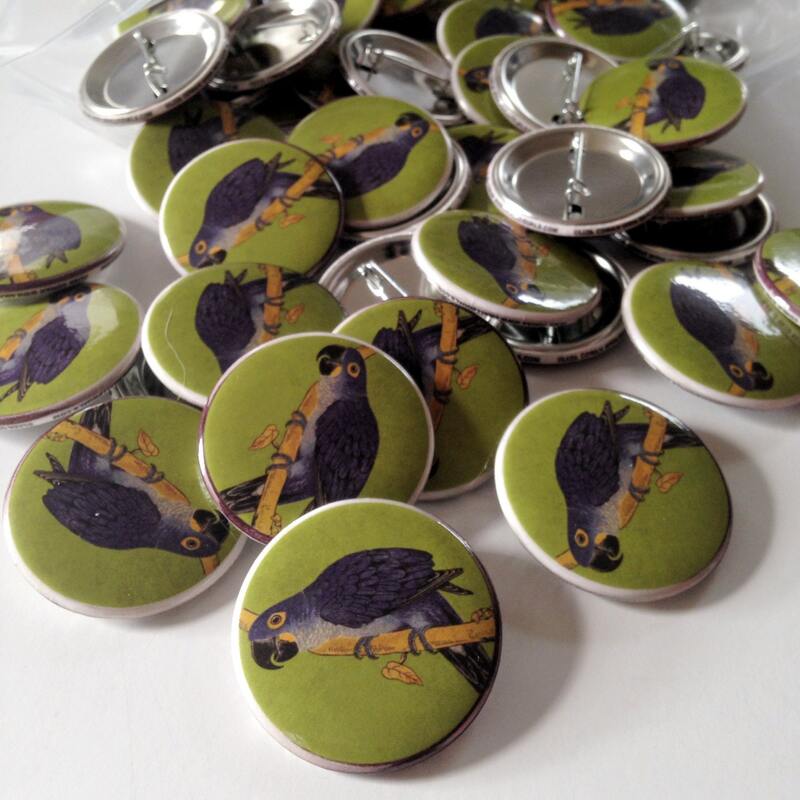 Button for parrot lovers. 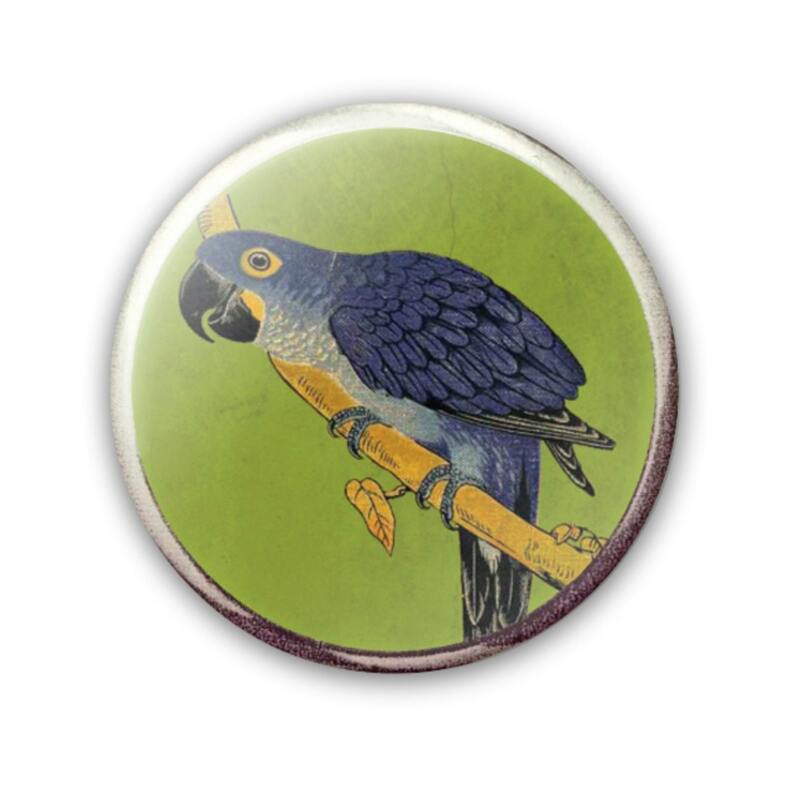 Blue and yellow parrot on a green background, set in a silver bezel. Sure to please bird lovers, and anyone who appreciates great, wearable, vintage-inspired images. This digital design incorporates several elements. The parrot is a detail from a vintage book - you can see it in one of the photos. Great gift for men or women, young or old. Also available as a magnet. I've chosen a composite green background to look like the bird is sitting in stone, possibly turquoise or jade. Then the whole thing is set into a fake silver bezel, so it looks more like a piece of jewelry than a mass produced pinback button. Remember, the whole thing was created on the computer, so nothing is "real." It's all about fooling the eye to end up with a beautiful and affordable piece of pop jewelry.